(EA) is not giving up easily. The company says it has officially offered a $2 billion (£1 billion) deal to Take-Two shareholders in what is being called "a hostile takeover attempt" by the developer. 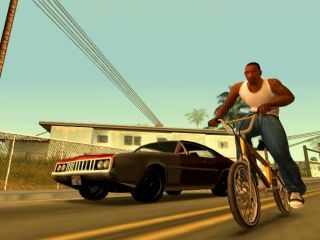 Upon offering the deal on Thursday, EA representatives contended that it was being forced to work directly with shareholders due to Take-Two's unwillingness to even discuss an acquisition before the latest title in its hallmark franchise, Grand Theft Auto IV, is released in April. "We believe that the offer we made is compelling. It is a full price and the longer we go on, the less valuable the asset is to us. At least so far, Take-Two's board is indicating they don't want to negotiate," EA Chief Executive John Riccitiello told Reuters in an interview. Responding to the deal, Take-Two executives released a statement to shareholders urging them to take no action and to allow the company to right the ship without the help of third-parties. They are also trying to assure the shareholders that plans are in place to correct the company's mistakes, adding that an official answer will be forthcoming within 10 days.